Prasad – so good, so healthy and sooo yummy! Home / #placestobe / Prasad – so good, so healthy and sooo yummy! Yes, on Tuesdays we talk about #placestobe. Today I would love to take the chance to introduce you to Prasad. Or should I better say: I will remind you that it still exists as it feels like it has been there forever but we all have forgotten about it? 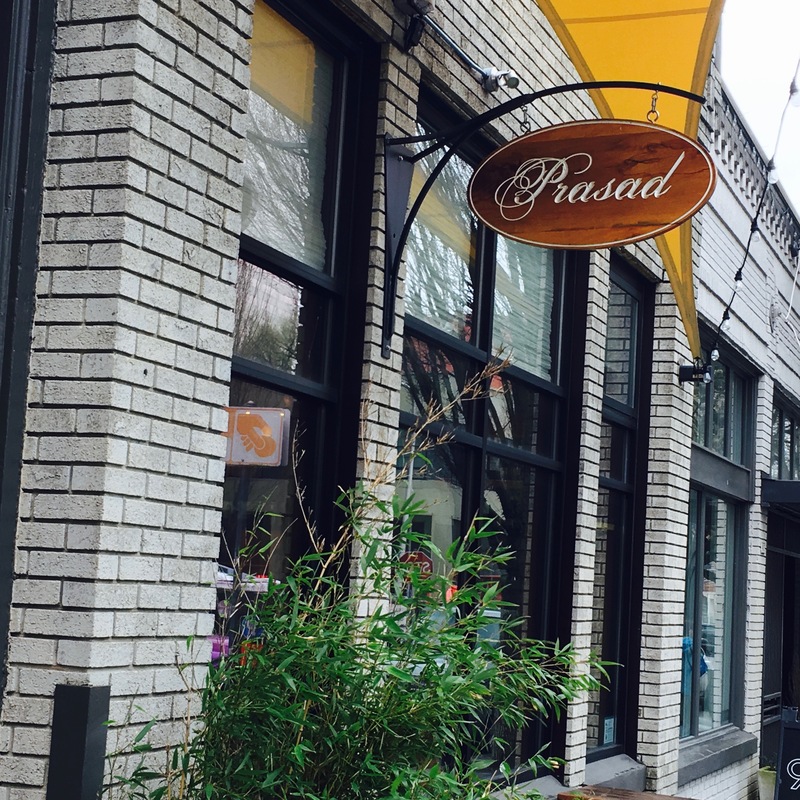 My gut feeling is that a lot of Portland peeps interested in healthy food, especially bowls as well as organic, gluten-free and plant-based food, know Prasad and Harlow already. That’s exactly how I was. I knew both places, I liked both places and would stop by there very randomly ( just because I never happened to be around this area during lunch time or early dinner time). 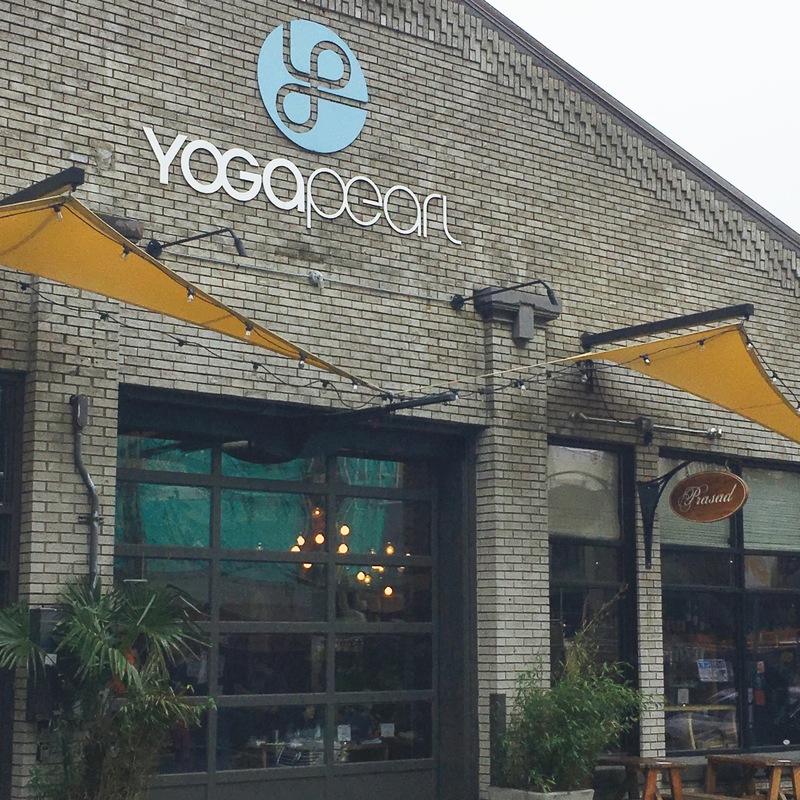 The fact that I was looking for a pre-natal yoga class ( yes, I do it and it really does good to me so I can only recommend it to every pregnant women out there ;-)), took me back there since Prasad is sharing a space with Yoga Pearl, located in the heart of the Pearl district. 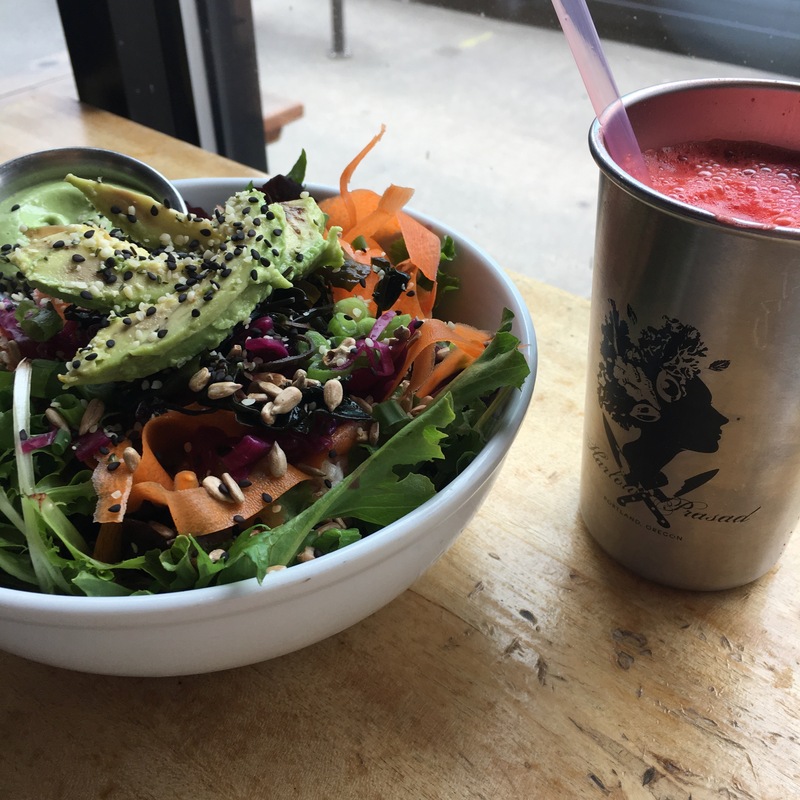 It couldn’t be more fitting, tempting and inviting at the same time that the yoga class I decided to sign up for is over around about lunch time and while doing good to your body during yoga why not follow with a healthy lunch. It’s a pretty awesome combination to me and I look forward to the class as well as lunch every time I go. Having that said Prasad has turned in one of my absolute favorite #placestobe over the last couple weeks. But no worries and no hesitations if you are not into yoga at all – it’s only the same entrance, but that doesn’t mean you have to take a class, say OHM or eat on your yoga mat. You can just walk in for good food and that’s actually what a lot of people do! The staff is super nice and accommodating, you order at the counter (eat in and take out) and everything on their menu is fresh, yummy and healthy. On top of that, it really tastes amazing, too. Even my burger friends I took there the other day did not complain and had to admit that the Mount Tabor Bowl or the Dragon Bowl were unexpected yummy 😉 after they finished their whole meal. 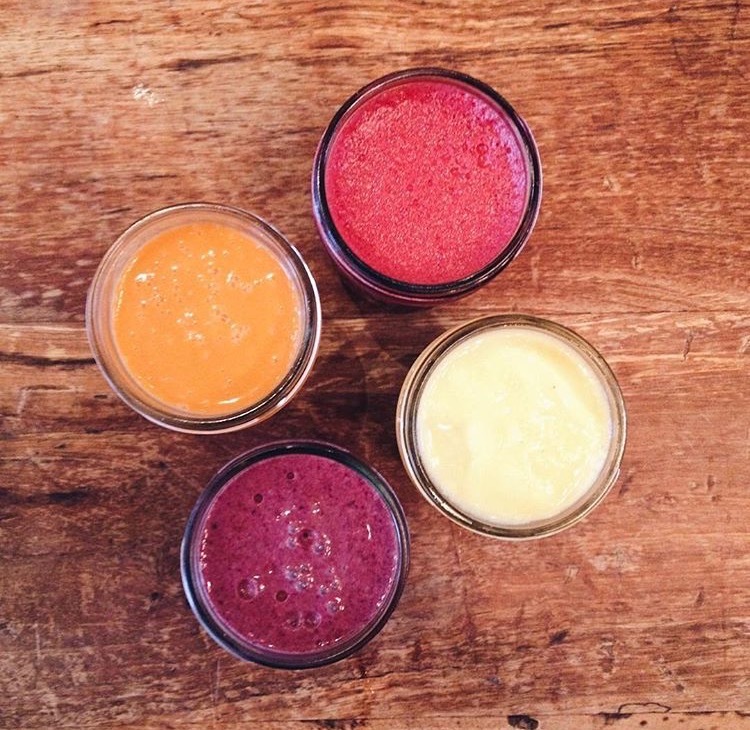 I can also recommend the Bliss Salad and of course all their juices and smoothies. No matter if you like it green #melody or #sweetgreens or you are more on that red side loving a good smoothie #Pinkflamingo you won’t be disappointed at all. 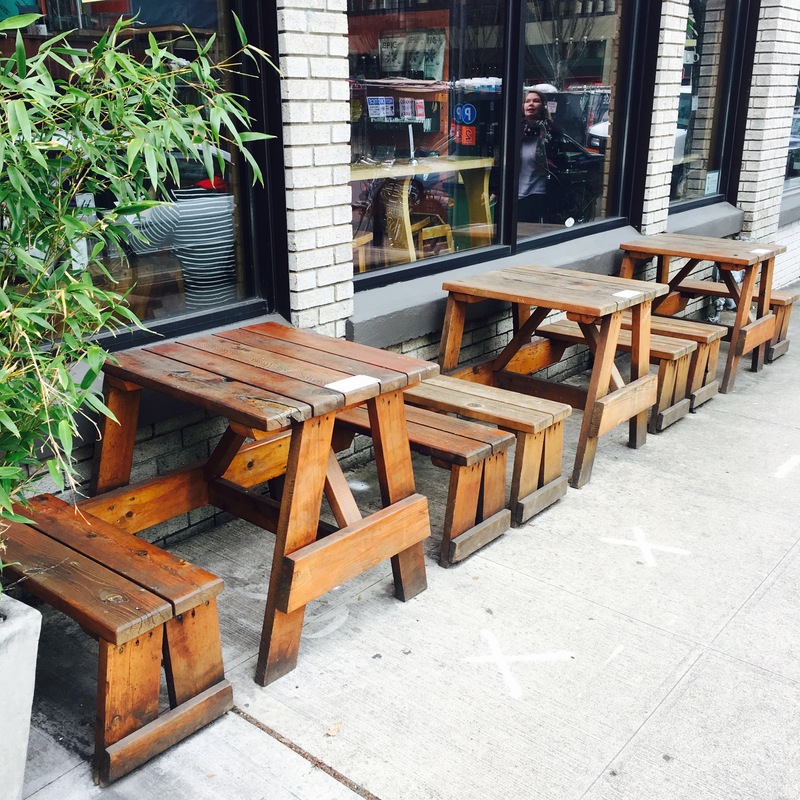 While it can get kind of crowded inside (nonetheless you will always find a place to sit), the picnic tables on the side-walk are super inviting as well. Especially when it’s a nice day, this spot is one of the sunny outdoor sitting places in the pearl. 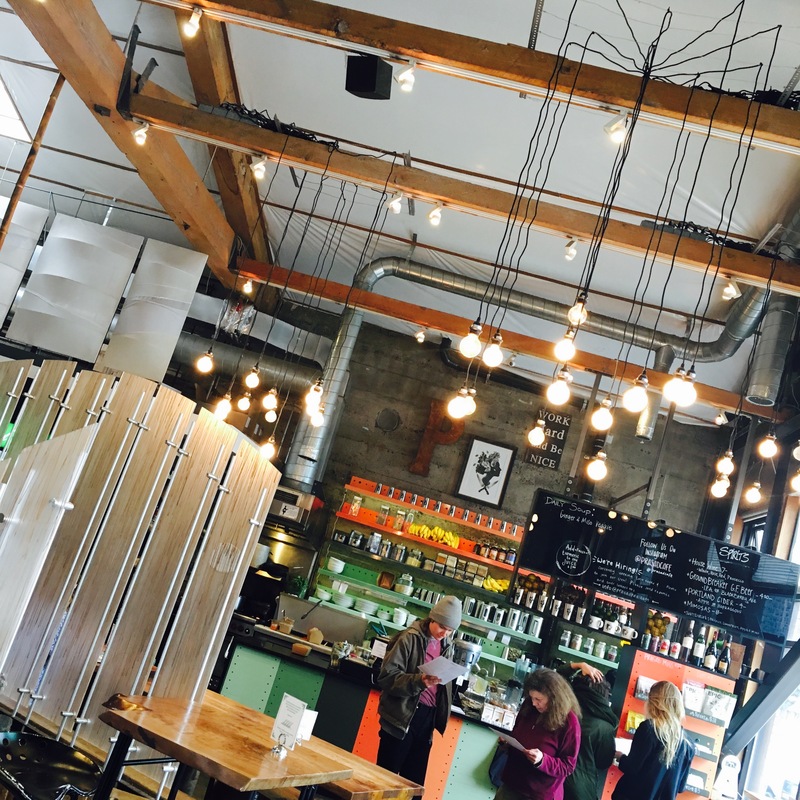 While I am mainly having lunch when I happen to be there, the breakfast options are super yummy, too and will for sure set up you for a great day. 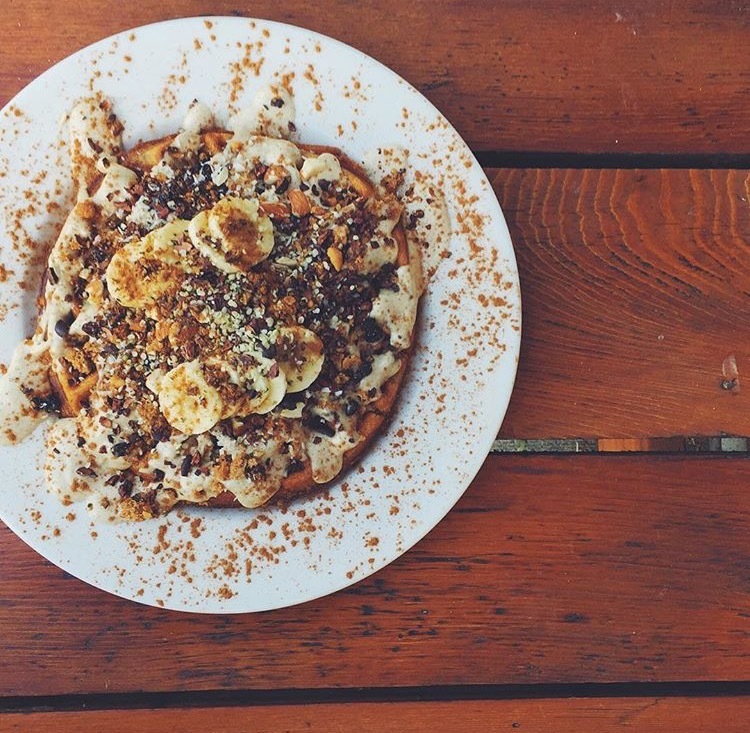 Try the classic oatmeal, the vanilla chia coconut waffle or my favorite: the avocado toast!! 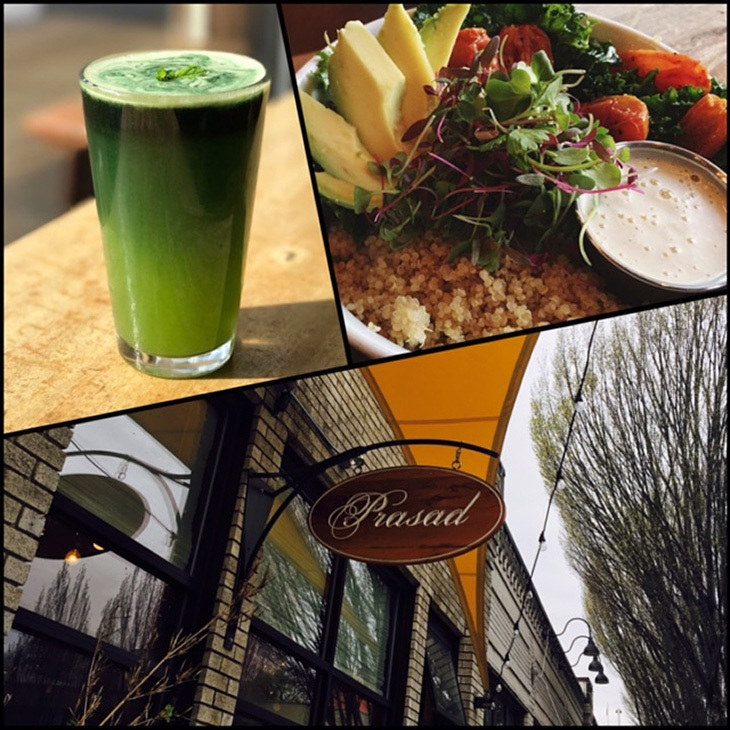 PS: More pretty, yummy pics on Instagram: @prasadcafe and @prasadeastpdx.